Worldpay POS is an integrated point of sale payment solution that can be used to accept credit card or mobile payments from a mobile device, tablet or counter. 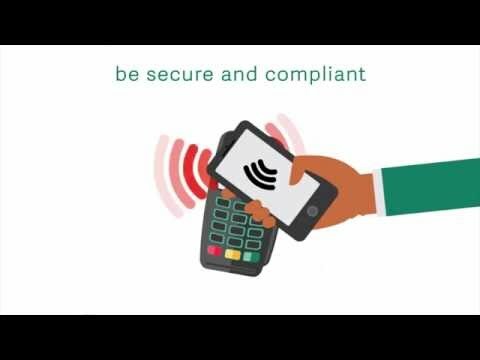 In order to allow businesses to accept payments from their existing point-of-sale, Worldpay can seamlessly integrate with devices to create a complete sales payment infrastructure. Suitable for any business type including restaurants, retail, hospitality, and more, Worldpay POS allows users to accept payments anywhere, and in a way that suits their business needs. With Worldpay POS, businesses can accept payments from all major credit and debit cards, mobile contactless payments including Apple Pay and Android Pay, and alternate payment types such as eWIC, EBT, and more. To aid small start-up businesses or businesses that trade on the road, the mobile and tablet POS solution facilitates payment processing from a mobile device or tablet on the retailers end. Users can accept the same payment types and also have access to all other key features, even without an integrated payment infrastructure or permanent counter. In order to help users gain business insight and better understand their customers, Worldpay POS solutions provide online transactional reports and analytics which can be accessed anywhere and from any device. Users can also boost and maintain customer relationships with customizable loyalty cards, fast transactions, and fraud prevention with PCI DSS compliance, data encryption, and tokenization. Ease of accepting the cards & then transitioning to the CHIP cards was superbly easy!I like that the transactions usually run through very quickly. (I don't like it when my customer is having to wait on me.) I like the newly integrated CHIP system. I like that I can assure them of a secure connection for the transaction. The ease of reloading the transaction paper. Auto print outs of the prior day are always ready to be filed when we get here of a morning. I like that the transactions usually run through very quickly. (I don't like it when my customer is having to wait on me.) I like the newly integrated CHIP system. I like that I can assure them of a secure connection for the transaction. The ease of reloading the transaction paper. Auto print outs of the prior day are always ready to be filed when we get here of a morning. Credit card processing platforms are somewhat of a commodity, so service is one of the big differentiators and we've been pleased with Worldpay's service and the ISO that we've worked with. They've been pretty straight forward with us and been able to resolve any issues we've had which we've been happy about.Their customer service has been good at handling issues we've had. I've known many people using First Data and other processors to have issues with Customer service. Also, we have a good price with them which makes it attractive for us. Decent pricing, good customer reprensentativeIt's pretty easy to use for our servers and managers. My contact person Matt Palenschatt is wonderful and always responds to my problems quickly and even on weekends! Ease of use and accesibilityAccessibility from any computer or mobile device, can recharge an account from a previous transaction, and and refund an account quickly and easily. Contact Worldpay for pricing information. Benefit from an integrated point of sale or mobile/tablet option depending on business needs and preferences. Ensure the safety of customer data with security measures and fraud prevention with PCI DSS tools and guidance, data encryption, and tokenization. Accept mobile wallet payments with Apple Pay, Android Pay and other contactless mobile methods of payment. Facilitate payment processing for all major credit and debit cards, as well as alternate payment types such as eWIC, EBT and more. View online transaction reports and analytics to better understand customer payment habits and preferences. Users can access transaction reports anywhere, anytime, and from any device. Below are some frequently asked questions for Worldpay POS. Q. What type of pricing plans does Worldpay POS offer? Q. Who are the typical users of Worldpay POS? Q. What languages does Worldpay POS support? Q. Does Worldpay POS support mobile devices? Q. Does Worldpay POS offer an API? No, Worldpay POS does not have an API available. Q. What other apps does Worldpay POS integrate with? Q. What level of support does Worldpay POS offer?